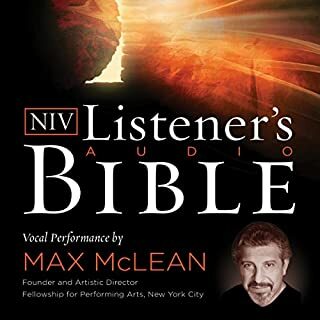 This audio edition of The Story of Jesus is a compelling, easy-to-follow presentation that is rooted in the clear, accessible language of the New International Version Bible. Revealing and insightful, this is the Jesus story in a concise, single narrative. Whether it's a gift, the basis for a small group, or just a keepsake you want for yourself, this is one powerful presentation you'll listen to again and again. This devotional contains all 150 Psalms and 20 other songs in Scripture, divided by day. The selections include helpful background information on the psalm, a related hymn stanza, and an application thought. Biweekly "Interludes" further aid understanding by explaining things such as acrostic psalms or Hebrew poetic style. Morning and Evening by Charles H. Spurgeon is one of the most popular daily devotional series of all time. This inspiring devotional offers Christians of all denominations a daily dose of Charles Spurgeon’s wit and wisdom through a daily tour of the scriptures. Join millions of people who start and end their day throughout the year by listening to these timeless devotionals. In this audiobook version, Christopher Glyn’s rich, English voice makes Charles H. Spurgeon’s rich, 19th-century English prose easy for the modern listener to understand. Spurgeon is Fabulous As Always! Great Narration! 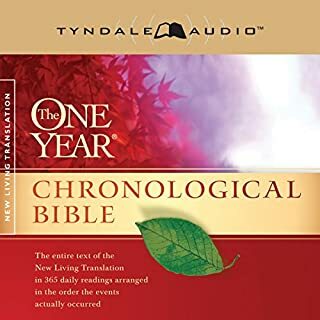 ©2011 Tyndale House Publishers, Inc. (P)2011 Tyndale House Publishers, Inc.
Great layout for first time listeners. God is awesome and desires your attention. Listen and try to understand his word for he will bless your heart and strengthen your understanding. I love this daily Bible. I have it in hardback, kindle, & Audible! But the cross- device synching does not work for me in Audible, which is crucial in a book of this type. Unless the chapter list is named the same as the respective days - which it is not - the only way to synch is to compare the device you normally use to the new one, & find your current chapter number. I'm sure you can see the flaw there. Please fix this. I want to have it on my phone, too! I love the book. Best story ever. I love the way this version is divided up so that you can listen throughout the year. But I HATE that no one took the time to label the sections. There is absolutely no way to know where you are without personally going through the many, many hours of recording and bookmarking sections. It is divided Part 1, Part 2, etc and each day is separated as a Chapter within each part. It would have been so simple to label each Chapter with the date instead of a Chapter number. Very disappointing. Good thing I like the subject matter or I would have considered it waste of money! 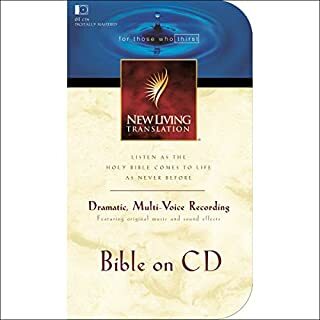 I prefer it a plain reading Bible to reading like a drama, because it may mislead me in thinking what had happened written on the Bible were exactly like what the voice presents on this audio book. On the other hand, the person who reads this audio book sometimes reads loudly, sometimes too low. It is hard for me to set the right volume. 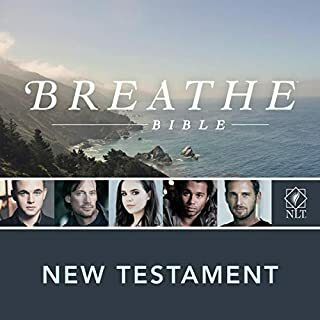 I just downloaded this Bible, my first purchase through Audible, and am very disappointed with how difficult it was to find my place. This is a day by day devotional and when you start mid year, well let's just say you download one section and hope it's the right one and when it isn't it can get a little frustrating finding the day you're on. I expected it to be a little more detailed and to be able to find my place better. 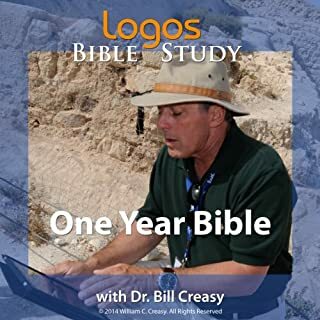 Would you consider the audio edition of The One Year Bible NLT to be better than the print version? Hearing all the words; one can't pronounce, is the greatest! What was one of the most memorable moments of The One Year Bible NLT? I get to feel like I'm there. I better understand the meaning of what is being said. Which character – as performed by Todd Busteed – was your favorite? Really all. Paul, David and of course Jesus. I enjoy listening to this every day and sometimes I replay the chapters I love. I can't start my day without it. I love this way of hearing the Bible. I've recommended this to so many people. Best invention since spell check. 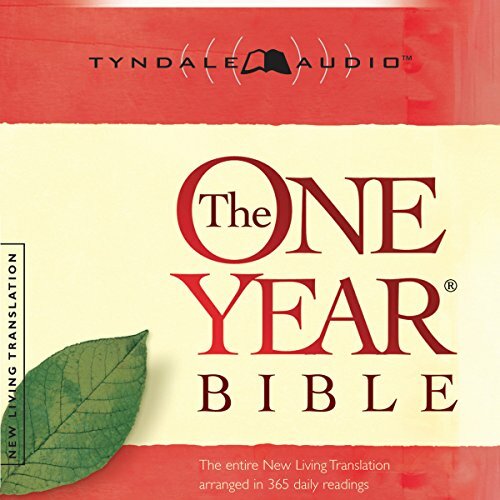 Loved the way the audible rendition followed along with the 1-year Bible on Kindle. Loved that the audible version did not require internet but could be downloaded onto both my ipad and iphone. Loved being able to change the speed at which the day's reading was read. Loved getting the daily bible from each Old Testament, New Testament, Psalms and Proverbs! Fantastic, recommend for everyone! 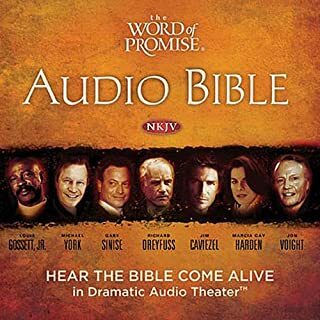 Let me begin by saying that I really like the narration for this audio Bible. That being said, I find it frustrating that the books are not titled. They are only listed by number. The user is almost forced into following the one year plan or at the very least, starting from the beginning. I wouldn't mind doing that, but I'd also like to be able to hop around quickly. There is no way to identify where certain books are located. So if you want to read the Gospels, you will have a tough time locating these pages. It seems it could have been a simple fix to make it user friendly so that the user could skip around if they choose. If the different sections in this audio book were titled I'd definitely give it 5 stars. Narrator sounded good but didn’t say what chapter he was on every time. Came with the Old Testament but not the New Testament. Kinda disappointed. I would have preferred it if the reading was in the Biblical order, or that every Bible reference was mentioned before the reading (often no chapter or verse). Sometimes I was not sure what book or chapter was being read. Apart from this I loved the reader and the NLT - it is what our church youth use.